﻿ StarTank | Bringing innovation and ideas together. Bringing innovation and ideas together with connections and capital. We’re the Star Tank Summit. Mark your calendar! The region’s first investment focused entrepreneurial Summit returns on January 16 – 17, 2019. Deadline for pitch submission is January 14, 2019. Registration is now open. Are you ready to take your existing business to new heights? Do you have an invention and a business plan, but lack the investors that will take your product to the next level? Have you created an App or new technology that will be sought after by millions, but don’t have the funds to take it to market? If you answered yes, it is time to apply for the 5th Annual Roanoke Star Tank on January 17th and present your concept to a panel of local investors who are anxious to become business partners with someone in our region. 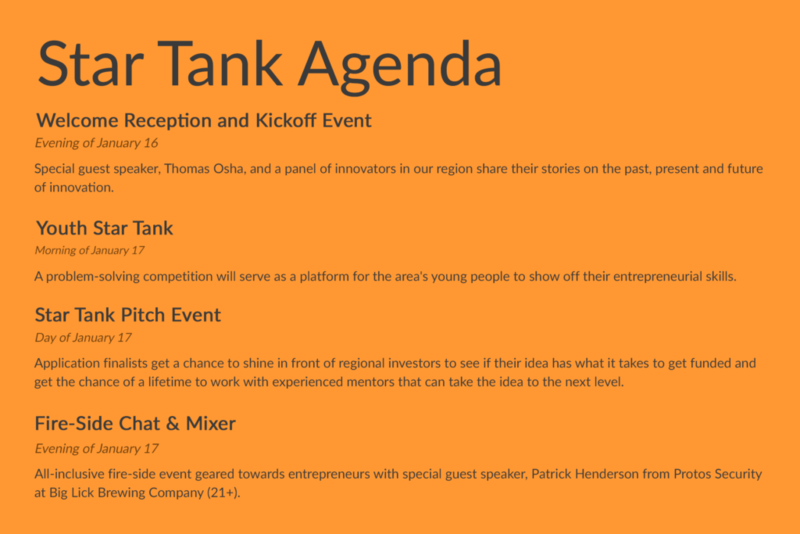 Since our inaugural year in 2014, hundreds of business owners, inventors and entrepreneurs have applied to present their existing or new business concepts to our Star Tank panel of accredited investors. All have run successful businesses and have invested in a range of businesses. 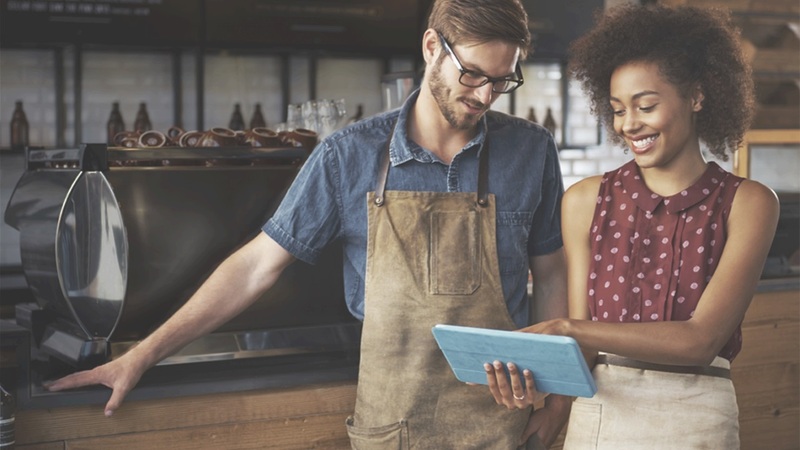 They are willing and interested in partnering with energetic, dedicated business people who have the ideas and drive, but not the capital and connections, to help a business become successful.